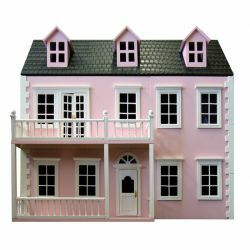 Dollhouses There are 6 products. A Georgian style manor house. Glenside Grange is a lovely Victorian townhouse. 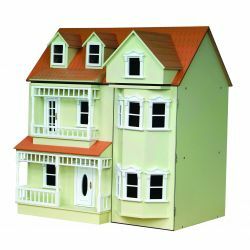 3 storey with a hinged attic and a split front opening. With a balcony and veranda. Available in Pink or Cream. Mayfair Manor is a large Georgian mansion. With a centre staicase with six rooms either side and an attic above. 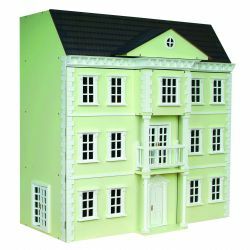 4 storey with a hinged attic and a split front opening. The Exmouth is a lovely Victorian townhouse. 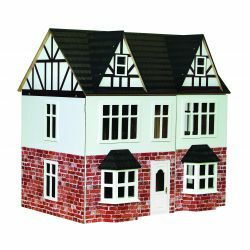 3 storey with a hinged attic and a split front opening. 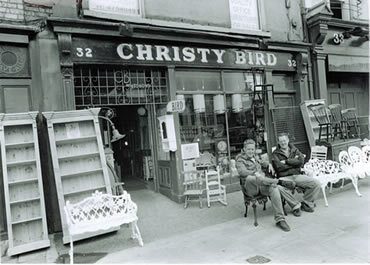 Bay windows with a balcony and veranda. Available in Pink or Cream. 43 Orchard Avenue is a fine Edwardian style house with a half red brick finish. 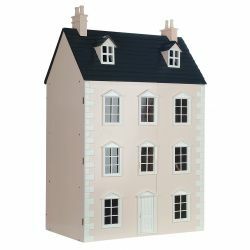 3 storey with a hinged attic and a split front opening. This house comes with interior walls and doors with wooden bannister on the staircases. The Dartmouth house is a lovely Geogian style house. 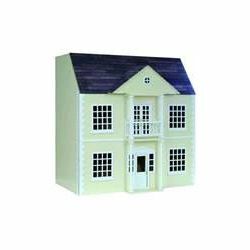 4 storey with a hinged attic and a split front opening. This house comes with interior walls and doors with wooden bannister on the staircases. Available in Pink or Blue.